Are you ready to become a Pitbull? The New York PT Pitbulls are looking to start other groups in the Eastern US. If you are interested in starting a group in your state, please contact us! If you are a leader of a martial arts group, we will train your people while training you to be an instructor of Pekiti-Tirsia Kali. The instruction will consists of seminars that we will conduct in your local area. These are primarily to teach your group the basic structure of Pekiti-Tirsia in the beginning, and then growing the curriculum from there. While training your group, we will personally train you in teaching these basics, sharpening your skill and while grooming you to lead a PT Pitbull group. Please call, or email us for more details. 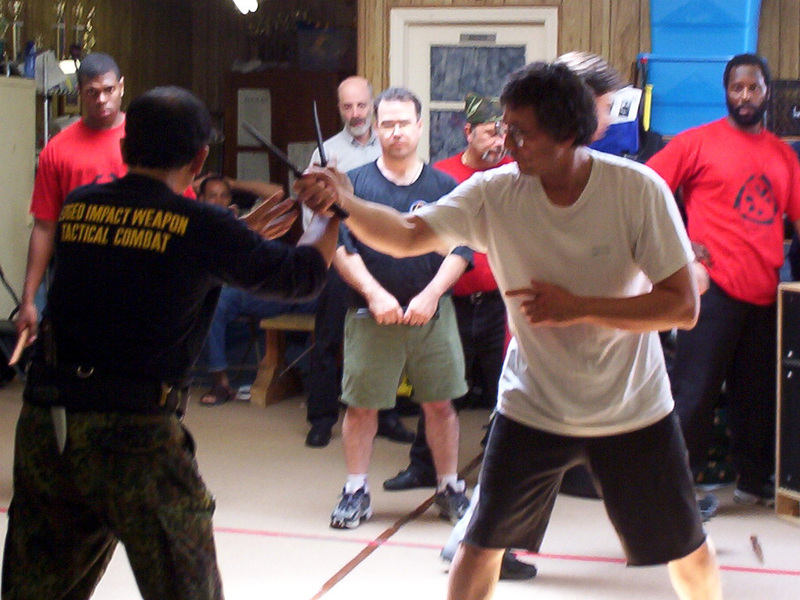 The training covers all aspects of the Pekiti Tirsia Kali system. This includes single and double stick & knife, sword and dagger (espada y daga) with empty-hand applications from all, foot and knee fighting (sikeran), long weaponry (malayu sibat), grappling (Dumog). All of these techniques are instilled into the student through the building of sensitivity. The final test of the skills is displayed in the application in sport-combat. Sport-combat training starts with the use of padded body armor and light contact. As the student advances in their techniques the armor decreases and the contact increases!